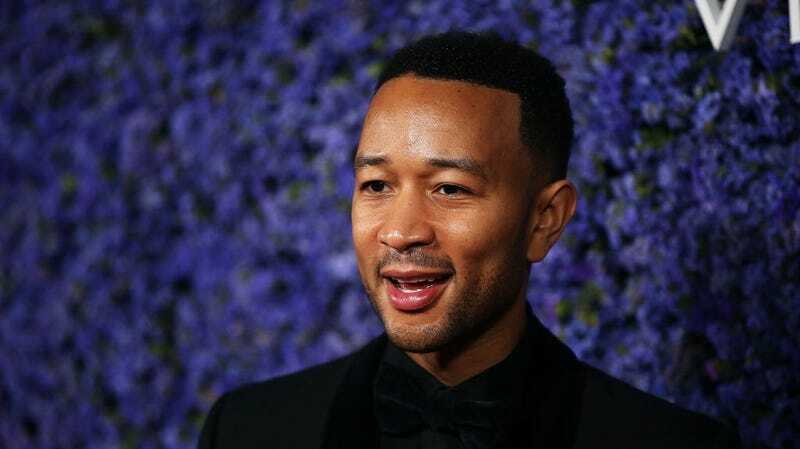 Now that good man John Legend possesses the immortal, all-knowing powers the EGOT has brought him (I hear you can lift cars over your head once you EGOT), he’s using his newfound legacy to call out shitheads like hypocritical and sexist senators. I wrote this song recently, it’s not out yet. It’s called ‘Preach.’ In the song we talk about how frustrating it can be to look at your phone, read the news, see what’s happening. See how senators treat women who come forward with sexual abuse claims. See how people ridicule young people who march for the right to go to school without getting shot up. See how people would denigrate those who make the very simple claim that black lives matter. We can get frustrated when we see all of that, but we can’t give up. Listen to Jesus! Go vote!